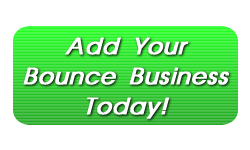 Minnesota Bounce and Jump LLC is a leader in the inflatable moon bounce market in the Twin Cities area. We offer safe, clean moon walks delivered, and hauled away for FREE! We offer competitive pricing, and outstanding customer service. Renting a bounce house with us in an easy, pain-free way to have your guests bounce and jump their way to a good time! State of Fun is the number one Bounce House rental provider serving the Twin Cities with Inflatable Jumpers, Moonwalk Bounces, and huge Interactive Inflatables in and around Minnesota. 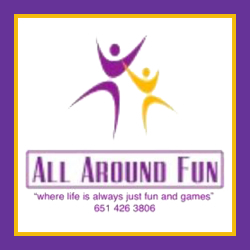 With great prices and the longest rental times around, State of Fun also offers a very large inventory of Carnival games, Dunk Tanks, and more. Located in and serving both Minneapolis and St. Paul, as well as St. Cloud and other areas. FREE Delivery and set-up in the Minneapolis St. Paul Metro Area. #1 rental company in Minnesota, Largest selection, best price, longest rental period, fully insured. 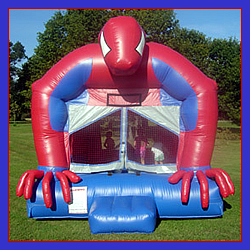 Our products include princess castles, bouncy castles, moonwalks, bounce houses, velcro walls, jousting, photo booths, mechanical bulls, water slides, giant inflatable slides, inflatable obstacle courses, carnival games, euro bungee, bungee trampoline, casino games, back yard parties, birthday parties, schools, churchs, corporate events, all day, all night or all week call for the best selection.